After Samsung released the Galaxy S7/S7 Edge last month, they are still releasing new cool mobile phones this month. 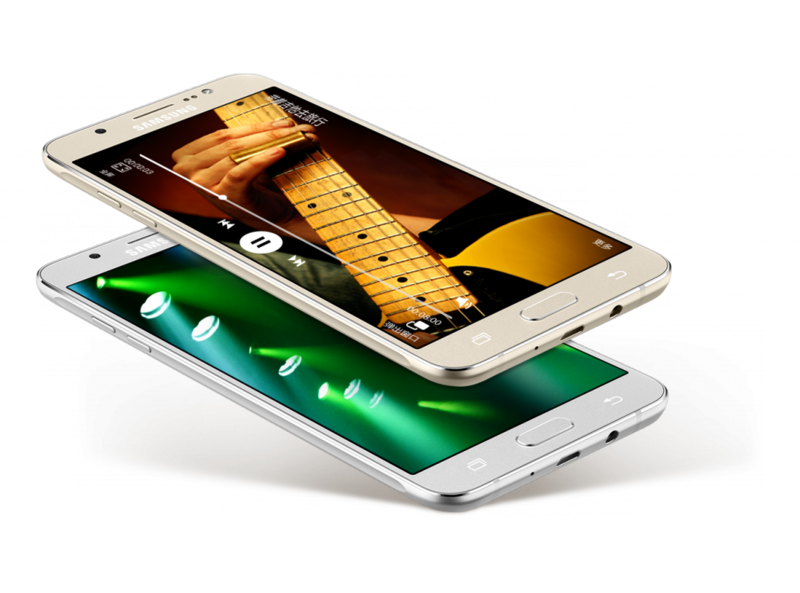 Meet the latest mobile phones from Samsung, the Galaxy J7 (2016) and Galaxy J5 (2016). Notice the “2016” in their names? They are the new versions of the mobile phones with the same title last year. The Galaxy J7 (2016) and Galaxy J5 (2016) are both upgraded versions of the Galaxy J7 and Galaxy J5 that were released last June 2015. But knowing Samsung, unlike other brands, an upgrade for them is really an UPGRADE. With that said, let’s now see the new features of these new mobile phones. The Galaxy J7 (2016) has the same display size with the 2015 version. 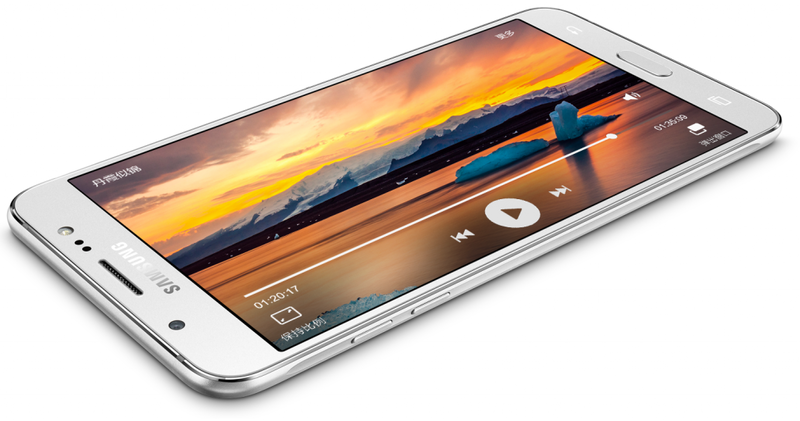 If you like phablet-size smartphones, you will like this one. The same display size can be found in the latest Galaxy S7 Edge and iPhone 6s Plus. It now has a metal frame which is a good upgrade for a more sturdy form. There is also the addition of the Rose Gold color, aside from the black, white, and gold versions. The sides are less rounded compared to the 2015 version, but the part where the back and the sides meet are still curved for a more comfortable hold. There are also some slight changes in the flash and speaker positions. It weighs 170 g and only 7.8 mm thin. It is only 1 gram lighter than the 2015 version and only 0.3 mm thicker. It is almost as thin as the Galaxy S7 Edge which is at 7.7 mm. There is also a huge boost in display quality compared to the 2015 version. It now has a Full HD screen with a 401 ppi pixel density. You will notice a huge difference in sharpness compared to the 2015 version which only has an HD display and 267 ppi pixel density. The Galaxy J7 (2016) has the same pixel density with the iPhone 6s Plus, so they both have the same level of sharpness and crispiness. But when it comes to display colorfulness, the Galaxy J7 (2016) is a lot better than the iPhone 6s Plus. It has more a vivid and colorful display because of its Super AMOLED technology. The same display technology is used in Galaxy S7/S7 Edge. The Galaxy J7 (2016) runs on the same Android 5.1 (Lollipop) OS and has an Octa-core 1.6 GHz CPU, which is only slightly higher compared to the Octa-core 1.5 GHz of the 2015 version. The significant change is in the RAM which is now twice as big at 3GB. If you like to multitask, this is very useful. You can multitask more than twice the number of applications and games compared to the 2015 version. The problem with smartphones with lower RAM is that you have to monitor the number of apps that are open and then close any unused apps as much as possible. If you don’t do this, the app or game that is currently running may suddenly hang or crash. You don’t want that to happen because you might lose progress in what you’re doing. With the latest version, it will be less likely that you will run out of RAM while running various applications, so there would be lesser or even rare instances of crashing apps. When it comes to storage capacity, both versions have a 16 GB internal memory which can be expanded up to 128 GB through microSD. Compared to the 2015 version which only has 3000 mAh battery capacity, the Galaxy J7 (2016) has a 3300 mAh battery capacity. That’s a 10% increase. If the 2015 version can last up to 18 hours of Talk Time (3G), we can safely assume that the latest version can run for almost an additional 2 hours of Talk Time (3G). Some may say that’s not too huge. But that’s just Talk Time (3G) we are counting. If you used that two hours for music playback instead, it is equal to about an additional 7.5 hours of music playback. That is a lot of time for entertainment and you will really appreciate that if you are traveling. Like the 2015 version, the Galaxy J7 (2016) has the same camera features. It has a 13MP camera resolution, f/1.9, autofocus and LED flash. It can record Full HD videos at 30 frames per second. The front camera has a 5MP resolution, f/1.9, and LED flash. According to Samsung, the camera can even capture quality images in a low-light environment. It is also LTE capable with the same range of LTE bands, with Wi-Fi and Bluetooth connectivity, GPS and A-GPS for location technology. It can also use NFC, FM Radio and sensors such as Proximity, Acceleration, and Light sensors. 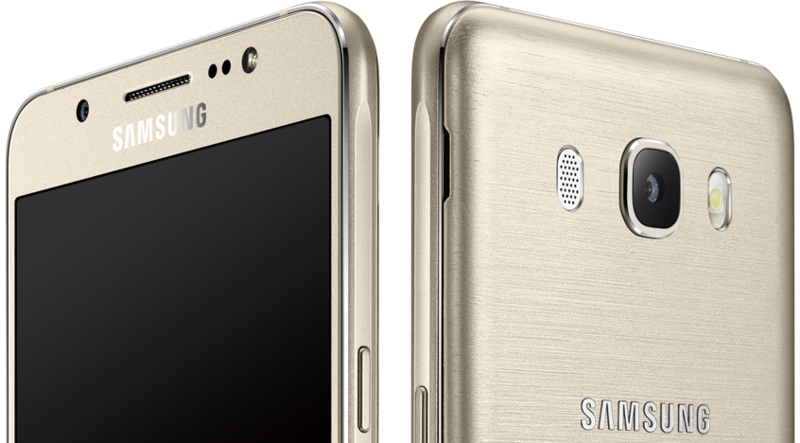 Like the Galaxy J7 (2016), the Galaxy J5 (2016) uses a metal frame. Rose Gold color is also an addition to their black, white, and gold color versions. The form is like a smaller version of the Galaxy J7 (2016). Smartphones are not only going metal these days, I also noticed a trend for curved sides, which probably originated from Apple’s design for iPhone 6 and 6 Plus. This curved design really feels good on the hands and should be one of the things to consider when getting a new smartphone. The 2015 version is slightly thinner and lighter. 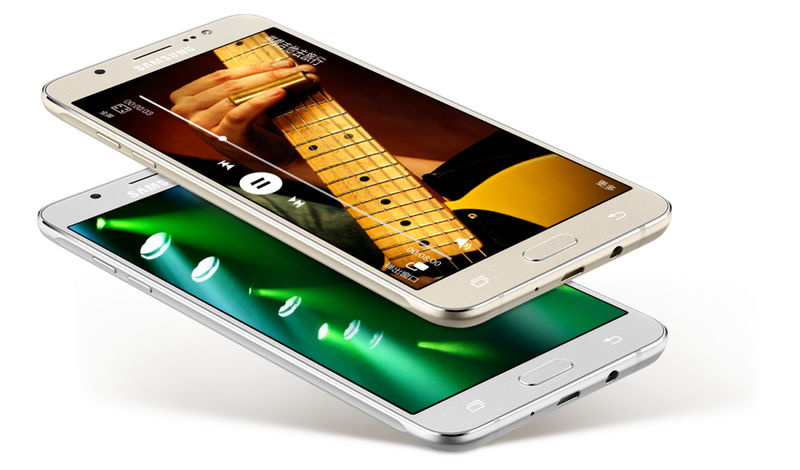 At only 8.1 mm thin and 159 g, the Galaxy J5 (2016) is still lightweight and sleek. The slight increase in weight and height is most likely due to the increase in display size and the significant increase in battery capacity. The display size is larger by 0.2 inches compared to the 2015 version. However, it retained the HD resolution, so with a slightly larger display, the pixel density also slightly decreased to 282 ppi. It still uses the same Super AMOLED display technology which you will really like because of the more realistic and vivid colors. Is 282 ppi enough for sharpness? For a mid-range smartphone, yes it is. A really good example of a sharp display is the iPhone’s Retina display. At 326 ppi, the Retina display is only 15% sharper than the Galaxy J5 (2016). That’s not too bad for the Galaxy J5 (2016). 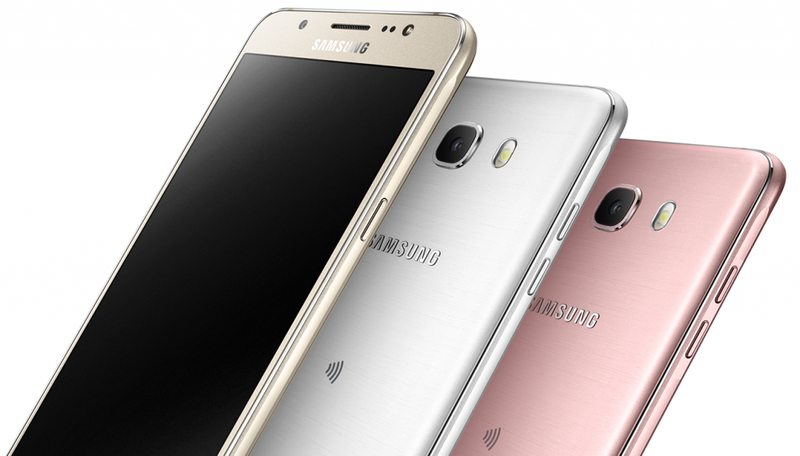 The Galaxy J5 (2016) is only expected to cost more or less US$250, which is a lot cheaper than the iPhone. So for a mid-range smartphone, the Galaxy J5 (2016)’s display sharpness is definitely worth it. The Galaxy J5 (2016) has a 2GB RAM, which is slightly larger than the 1.5 GB of the 2015 version. The Galaxy J5 (2016) also runs on Android OS 5.1 (Lollipop) with the same chipset, processing speed, and graphics processor. It comes with a 16 GB internal memory while the 2015 version comes in both 8GB and 16GB storage capacities. Both versions can use a microSD card up to 128 GB. The battery capacity of the Galaxy J5 (2016) is 3100 mAh. It is almost 20% larger than the battery capacity of the 2015 version which is only at 2600 mAh. The 2015 version can already last up to 18 hours of talk time (3G). Considering the increase in display size which will contribute to more power consumption, we can still expect an additional 2 to 3 hours of talk time (3G) or 10 more hours of music playback. 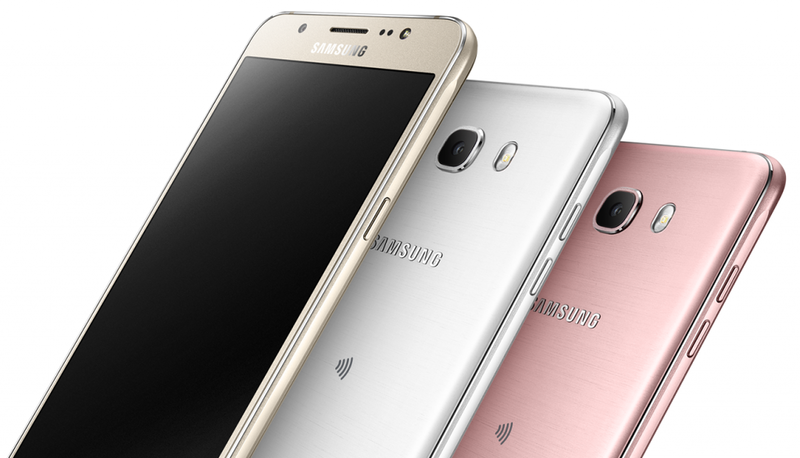 Like the 2015 version, the Galaxy J5 (2016) has a 13MP camera resolution, f/1.9, autofocus and LED flash. It can also record Full HD videos at 30 frames per second. The front camera has a 5MP resolution. Other features include LTE, Wi-Fi, and Bluetooth connectivity, GPS with A-GPS, NFC, FM Radio, Proximity sensor, and Accelerometer. What do you think of these latest Samsung smartphones? I would love to hear from you.